"A Stoning Before Breakfast," by Azardokht Bahrami, in Tehran Noir, edited by Salar Abdoh, Akashic Books, 2014. If I were picking the best story titles of 2014, a big chunk would come of this book. "Fear is the Best Keeper of Secrets." "A Woman's Geography is Sacred." "The Shelf Life of Revenge." "The Whitest Set of Teeth in Tehran." The narrator is a prostitute. Her friend Elika is being stoned to death for adultery - although the actual reasons are more complicated than that. While this story makes no reference to the obvious Christian analog - "let he who is without sin..." - Elika's customers are in the crowd, very reluctant to participate. This is not a standard crime story, more a slice-of-death piece, but powerfully written. One of the women asks out loud why they haven't covered her face. she insists that this is the law. It's as if she's some kind of Minister of Stoning. Kati insisted there was not a man on earth who would stay faithful for long. Except maybe the prophet Adam, and that was only because in his particular sad case there wasn't a second option. This boy's a natural. They should bring him to every stoning within driving distance. Another fine story in the collection is "Not Every Bullet is Meant for a King," (another great title) by Hossein Arkenar, a sort of textual Pulp Fiction about people who get involved in a bank robbery. 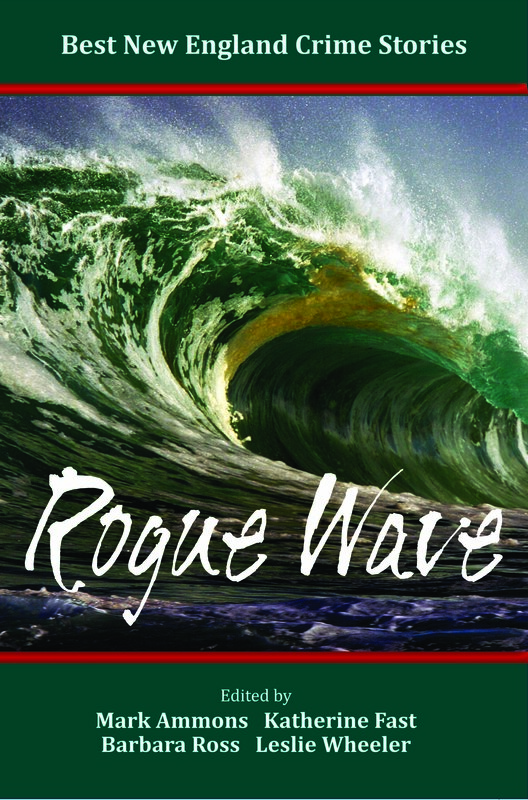 "Wehrkraftzersetzung," by Stephen D. Rogers, in Rogue Wave,: Best New England Crime Stories 2015, edited by Mark Ammons, Katherine Fast, and Leslie Wheeler, Level Best Books, 2014. We must begin with my annual complaint about the titles of the books in this series. Since the book is published in 2014, clearly these aren't the anything stories of 2015. And since they are published here for the first time, who the heck has decided they are the best of the year? Having gotten that out of the way, let's discuss Mr. Rogers contribution. This is a traditional detective story, in the sense that a murder is committed and solved, and I don't remember the last time one of those made my best-of list. Not because I have a prejudice against them (as I admitted last week concerning fan fiction) but because they are a small percentage of the field these days. 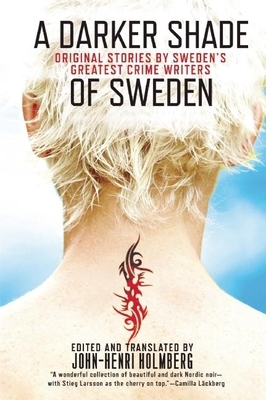 One problem with the traditional formula in short story form is that it can fall into the category of eeny meeny murder mo, in which the killer was either A, B, or C and you have no particular reason to care which of them did it because the characters are not much more than letters of the alphabet. There is some of that in this story, but it is so unusual in its setting that Rogers easily overcomes that limit. The story takes place on the Russian front during World War II. Steiner, the narrator, is a German soldier. In the middle of a very bad situation one of four new replacement soldiers has been killed - not by the enemy but by one of his comrades. Steiner has apparently acquired a reputation for investigation and his commander orders him to figure out whodunit. The search is short and cleverly done. The conclusion is a logical extension of what happens in war. A good, tough, story. "Dr. Watson's Casebook," by Alan Grant, in In The Company of Sherlock Holmes, edited by Laurie R. King, and Leslie Klinger, Pegasus Crime, 2014. I admit to a prejudice against fan fiction, the attempt to add a new work to some other author's corpus. To make my best list such a story would pretty much have to be better than the original. Pastiches, on the other hand, are a different animal. While there are different interpretations of the word, I define a pastiche as a work that uses a previous author's work but doesn't attempt to reproduce it. A reboot, in other words. Television's Sherlock and Elementary both qualify, but you don't have to switch to modern times to qualify. My friend James Lincoln Warren's "Shikari," which imagines Dr. Watson as an agent of British Intelligence, is a perfect example. This book contains examples of both categories, plus some modern stories with more or less reference to Doyle's character. My favorite is solidly in the pastiche camp, with tongue firmly in cheek. Quite simply, Alan Grant has retold The Hound of the Baskervilles as it might have appeared through social media. Dr. John Watson has shared a link to the London Meteorological Serivce - Likelihood of Severe Fog: 90%. * The Hound likes this. * Sherlock Holmes does not like this. My other favorite in this book was "By Any Other Name," by Michael Dirda, a clever example of the "Great Game," scholarship that assumes Holmes was real. But, alas, it is not a crime story, so it does not qulaify here. "Swirl," by Siljie Bekeng, in Tel Aviv Noir, edited by Etgar Keret and Assaf Gavron, Akashic Press, 2014. Hmm. You need to sue a spoiler warning if you reveal the plot, but do you need one if you reveal there is no plot? 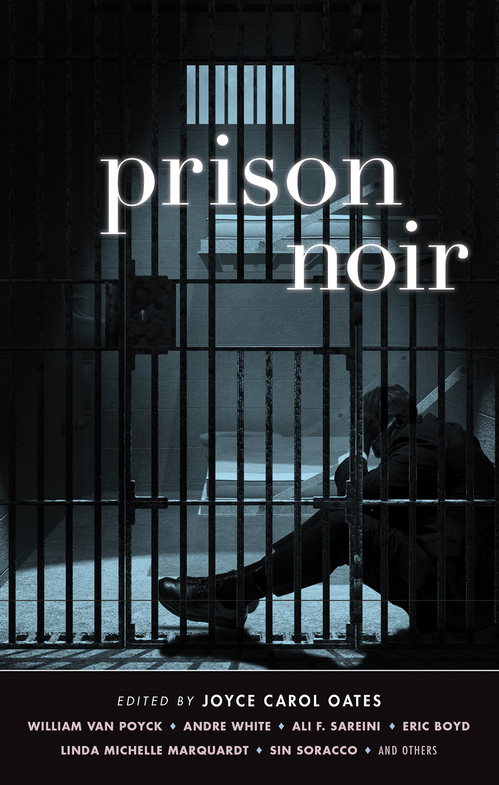 This story is so light on the plot side that it could pass for mainstream, but there is crime in it, and excellent writing, which is how it happened to end up being my best-of-the-week. When I read a story on my tablet I mark interesting passages that I might want to quote on this page. In this story I marked seven which is a record, I think. But we will get to that. The narrator describes herself as an expat. Her husband is an executive of an international corporation and they live on Rothschild Boulevard in downtown Tel Aviv. She is isolated in many ways, including having no knowledge of Hebrew. But worse, there are protests going on in the city and the corporation keeps urging employees to avoid a certain area -- the place where she lives. But that's not the scary part. When she does go out she sometimes comes back to find evidence that someone has been in the apartment. Apparently Shin Bet, the Israeli security service, has a habit of leaving these little reminders for expats: we are watching you. But our narrator suspects that this is more personal, that the watcher has taken a particular interest in her. Those single socks that never return from the washing machine? Shin Bet has a storage room full of socks lifted from diplomats, lobbyists, and international aid workers. On casual Fridays the Shin Bet people wear the mismatched socks themselves, for fun. There is something embarrassing about listening in to someone else's social protest, like getting stuck at the table during someone else's family argument. We are the kind of people they send in helicopters for. "Crush Depth," by Brendan DuBois, in Mystery Writers of America present Ice Cold: Tales of Intrigue from the Cold War, 2014. Hard time choosing between two very different stories this week, both in Ice Cold, and both excellent. Sara Paretsky's "Miss Bianca" is about intrigue in a biological research lab, as seen through the eyes of a child. "Crush Depth" is a look back at a genuine mystery of American military history, offering a possible explanation. The first is cute, the latter is grim. What finally decided me was their surprise endings. Paretsky's seemed tacked on, while Dubois's was a genuine twist, putting a new light on everything that went before. In "Crush Depth" it is a year after the Soviet Union collapsed and an intelligence agent named Michael is hanging around the Portsmouth, New Hampshire, naval yard, trying to make contact with someone who knows the truth behind a naval tragedy from the 1960s. Michael thought it ironic that his work and the work of so many others was still going on, despite peace supposedly breaking out everywhere. 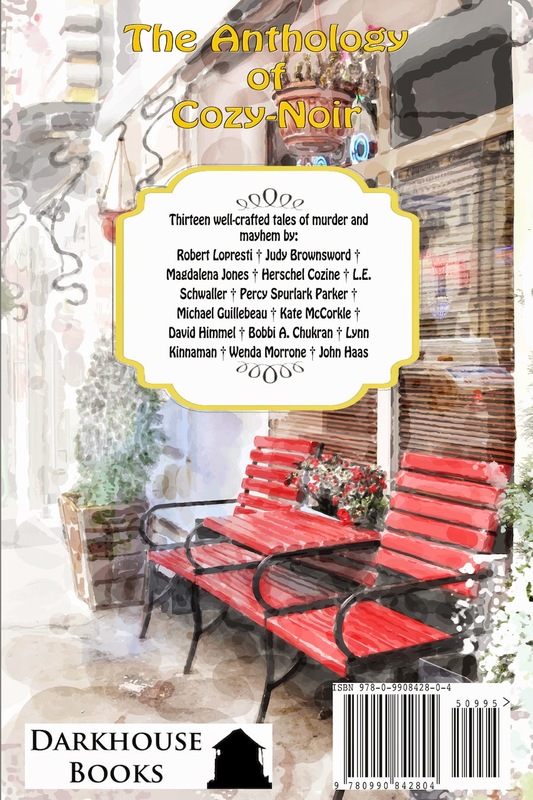 "The Last Confession," by John Lescroat, in Mystery Writers of America present Ice Cold: Tales of Intrigue from the Cold War, 2014. I think what I like best in this story is a character type I don't remember seeing in fiction before, but whom I recognize from real life: a vain, charismatic guy who has no clue as to how he can damage people's lives. And in this case, alas, he's a priest. "It's a Wonderful Rat-Race," by James Powell, in Ellery Queen's Mystery Magazine, November 2014. I guess it makes a sort of sense that when my friend James Powell writes about madness the result is slightly less crazy than his usual work. His usual tale contains a free-association of bizarre connections, like a garden sprinkler shooting water in all directions. This one is more tightly focused (although he does offer some odd riffs on human conception and the well-known Jimmy Stewart movie). Obsession is either comic or tragic, depending on how close you stand to the fallout. Hilda Ross is a neatnik. She is delighted when her grown children move away because she can finally get wall-to-wall white carpeting. And she loves her house and her less fastidious neighbor, because "to really succeed neatness-wise you needed a messy best friend." But one day that friend's husband casually releases a piece of folk wisdom that turns Hilda's life upside down, turning good into bad, light into dark, and-- Well, you have to read it. "Wildcraft," by Ellen Larson, in M: Mystery and Horror, May 2014. I always warn you if there is a factor outside of a story's own merits that could cause me to favor it. Usually that means the author is a friend or blogmate of mine. In this case the reason for full disclosure is somewhat different: Ms. Larson, who I don't know, sent me a copy of this magazine's first issue. But I definitely enjoyed her story the most of any I read this week, which is the rule for this column. This is a story about a police chief investigating a crime, which is no surprise, but the crime is unusual and so is the investigation. Someone has shot a deer a day before the season opens. That's illegal but what outrages the chief is that the poacher, not having made a clean kill, allows the deer to limp away to die in misery. And so, rather than hunting the bad guy, our hero goes off in search of the victim, to finish the job as mercifully as possible. Along the way he ponders all his suspects and figures out who the shooter must be. It's a clever approach. I do have a caveat. A few weeks ago in this space I wrote about dialect, and how less is more. One of Larson's characters talks like this: "I sayed I was trackin' 'im. I didn't say I'd shot him! Like yuz, I heard the shot is all." That is more dialect than I, for one, need. Best of luck to thenew magazine. "Rough Justice / Tender Mercies," by Leonhard August, in Death and the Detective, edited by Jess Faraday, Elm Books, 2014. This story has an interesting structure. The real action takes place on one day, and ends with an act of violence, but the narrative begins after that is over. Then it runs back to tell us the background of the narrator and his friend Earl. The story is a quarter over before the action begins. And after we reach the climax it goes on for almost another quarter, ending up where it started. Sounds complicated, but I don't think you could have made this story work any other way. The main characters are Shadow Wolves, members of the Tohono O'odham tribe working as border agents for Homeland Security. The main action concerns the discovery that one of their confidential informers, a woman working with a very dangerous group of Mexican smugglers, has been found dead. But don't assume you know where the plot is going. The actual direction is hidden in the background August has so carefully laid out for you. 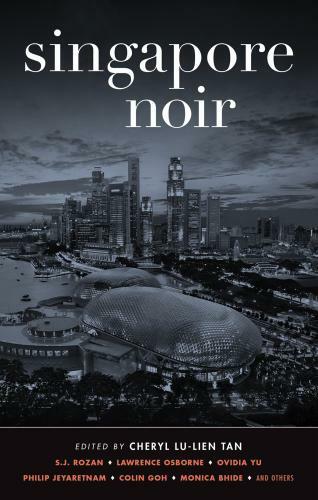 "Murder on Orchard Road," by Nury Vittachi, in Singapore Noir, edited by Cheryl Lu-Tien Tan, Akashic Press, 2014. The term "political correctness" or PC has become an epithet. It is seen as a form of censorship or advocacy of wimpiness. Wasn't always that way. As I recall someone asked the folksinger Fred Small if he was ever "not PC." He replied "Do you mean am I ever intentionally rude?" I bring this up because most of the stories in Singapore Noir use dialect, by which I mean attempting to indicate on the page the non-standard language and pronunciation of the characters. Dialect has been out of favor for a long time, for a lot of good reasons: it can be amazingly annoying to read and, it can seem insulting to the people whose language is being mimicked. On the other hand, a lot of the people in these stories set in Singapore are not going to speak like they went to Harvard or Oxford. What's an author to do? Mr. Vittachi's is about an older Chinese may named C.F. Wong. And here is one of his longer speeches: "Slow race no good. Makes bad TV. Sponsors very angry. Race organizer very angry." Gives you a sense of how Wong speaks. Whether it accurately reflects Chinese speech in Singapore is beyond me. His New Year's resolution was to give up murders. Murders were horrible, messy, smelly, difficult, heart-rending things. And not nearly as profitable as they used to be. "It'll Cost You," by Neil Schofield, in Alfred Hitchcock's Mystery Magazine, September 2014. Lawrence Block once wrote that "A story must have a beginning, a middle and an end, but not necessarily in that order." The current fashion is to start as far into the action as you can and then explain what went before in flashbacks. But what about starting at the end? I don't mean telling the story in reverse like, for example, the movie Betrayal. No, I am thinking of stories that begin by revealing how they will end, and then jump to the start. Two more classic movies come to mind: Sunset Boulevard and American Beauty, both of which start with the narrator informing you that he gets killed (and one of them still manages to provide a surprise ending). My friend Neil Schofield has provided a witty and very clever story of this type. Georgie Hopcraft starts out by cheerfully telling us that he is in prison and his cell mate is "another murderer," which is a little misleading because Georgie has been convicted of a murder he did not commit. Then why is he so cheerful? Well, it has to do with that cell mate, and I will leave it at that. But Georgie goes on to explain the whole story. He was a somewhat shady owner of a "slightly better-class second and bric-a-brac shop" in London. But when his soon-to-be ex-wife was dissatisfied with the upcoming settlement she found a way to get him framed into prison. And we get to watch the whole framing process. This story is, oddly enough, a fair play mystery. That usually means the reader has all the clues needed to figure out the identity of the murderer. In this story that is a given, but you have all the clues to figure out how Georgie will prove he didn't do it. The Mystery Readers International have announced the Macavity Award nominations. Congrats to all! 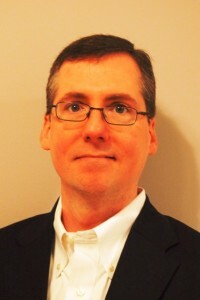 "Crimes of Passion," by Michael Guillebeau, in Ellery Queen's Mystery Magazine, August 2014. So, when is a stereotype okay in writing? I don't mean an offensive racial or whatever stereotype, I mean a character who is so perfectly a type that you know what they are going to do before they do. I guess, as usual, the answer is: it's okay when it works. Guillebeau's story is full of characters like this. Within a few pages you can predict, not precisely what will happen, but who will end up with the dirty end of the stick and who will walk away clean as artisan soap. Josh is a poor boy who lives in the Florida panhandle. "Poor" is the keyword because his family's shack is between two mansions, where his best friends live. Those over-privileged, entitled friends, Waylon and the just-blooming Melody, are the main cliches in the story. As it begins, the three of them find a dead body in the water. Waylon finds a stack of money in the man's coat and promptly takes it. Josh -- the thoughtful member of the three -- has to decide whether to go along with this or tell the truth. And everything that follows is as inevitable as a Greek tragedy, writ small. Apparently Guillebeau has a novel about the same character, Josh Somebody. Might be worth a look-see. "The Plow Guy," by Brendan DuBois, in Alfred Hitchcock's Mystery Magazine, July/August 2014. Henry Conway has a somewhat eccentric plan for his retirement. He wants to move to a small town in New Hampshire, buy a dog for company, and plow people's driveways. Seems easy enough, but he runs into a couple of problems, especially a man who beats his wife, a problem Henry isn't willing to ignore. But Henry has an interesting skill set. Did I mention what work he retired from? Neither does he, exactly. I chose my retirement home like I was planning for an overseas op. Oops, I meant to say, setting up a budget spreadsheet. Or a request for proposals. Or something innocent like that. Oddly enough, I enjoyed the story more before the inevitable conflict came along. Henry is an interesting fellow and, honestly, the bad guy just wasn't enough of a challenge for him. But the writing is lovely. The Private Eye Writers of AMerica have spoken. Congratulations to the nominees! "Mary's Shallow Grave," by Phillip DePoy, in Alfred Hitchcock's Mystery Magazine, July/August 2014. If I am reading the editor's note correctly, this is intended to be the first in a series. I look forward to the next. It's 1975 and the state of Florida has hired our narrator, Foggy, to operate Child Protective Services (for the whole state? I hope not.). And he shows up at the bar with the unprepossessing name that gives the story it's title, to tell the cook that his ex-wife in in a coma, her boyfriend is dead, and his eleven-year-old daughter is on the run. That part of Florida had always been to me, the land of people who gave up. They piled empty cardboard boxes on the front porch, rolled the broken fridge out onto the lawn; always thought it was too hot to paint the house. And the flies didn't come in if you just put a piece of plastic over that tear in the screen. Maybe it was the heat. Even in October they could get days in the nineties. There is stolen money, crooked cops, a wealthy Indian with nefarious plans, and a bunch of people using assorted ill-advised self-medication plans. If there is any hope for an eleven-year-old girl in this mess it is going to have to be carved out of extra-legal maneuvers and deals with assorted devils. Fortunately, Foggy is up to the challenge. "When I'm Famous," by Dara Carr, in Ellery Queen's Mystery Magazine, June 2014. This is the best first story I have read in some time. Clever setting: Williamsburg, Brooklyn, among the hipsters. Exhibit A is our narrator, Mindy. She is, she tells us, a visual person. She has a "make-believe boyfriend," Marcus, who phones her late at night for "booty calls" and she always goes over. ...Brooklyn royalty and she knows it, the men twitching like they've been tased, the female viewers emitting a soft electric hum, brains working hard, calculating the age they were when they could have last worn shorts that length in public, let alone to a party; beaches don't count. Age seven would be my answer. Pretty soon the wallpaper artist is dead and there is no shortage of suspects. In fact, they show up one after another like city buses. One of the less commonly reported dangers of chronic marijuana use is buying decrepid old houses and thinking you can fix them up.